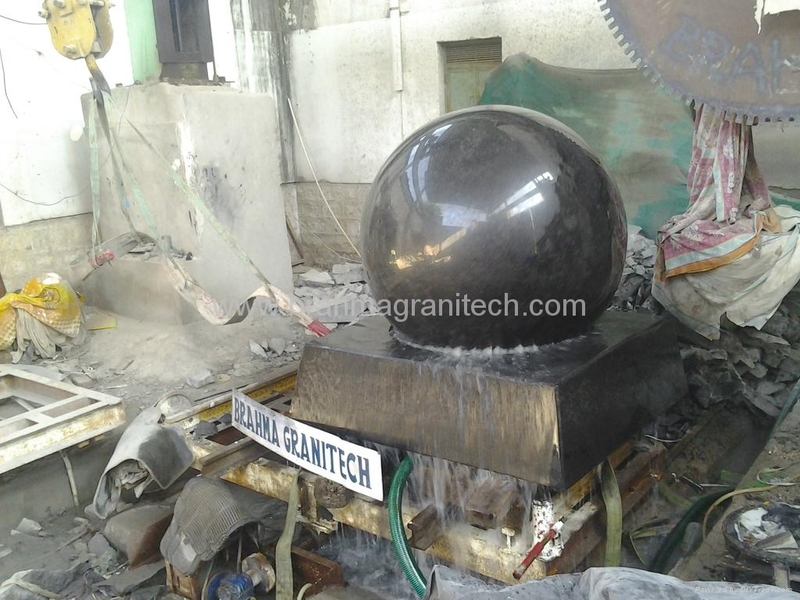 Granite floating sphere fountain/ball fountain/rolling sphere fountain /floating sphere fountain is a perfectly balanced, polished stone sphere that fits into a socket (base) carved to the exact curvature of the ball. 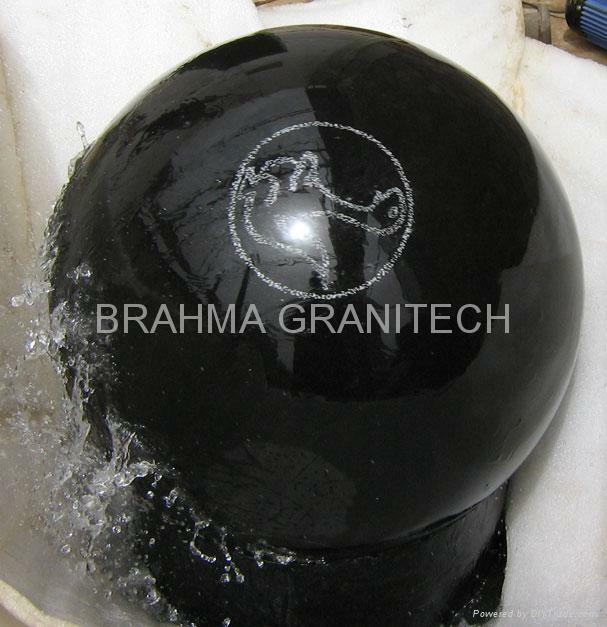 The sphere revolves 360 degrees in all directions and actually floats on a thin film of water. Water is pumped up from beneath the socket, lubricating the ball and forcing it to turn gently—no belts, no pulleys, no rubber wheels! It operates at a surprisingly low pressure—around 10 psi. 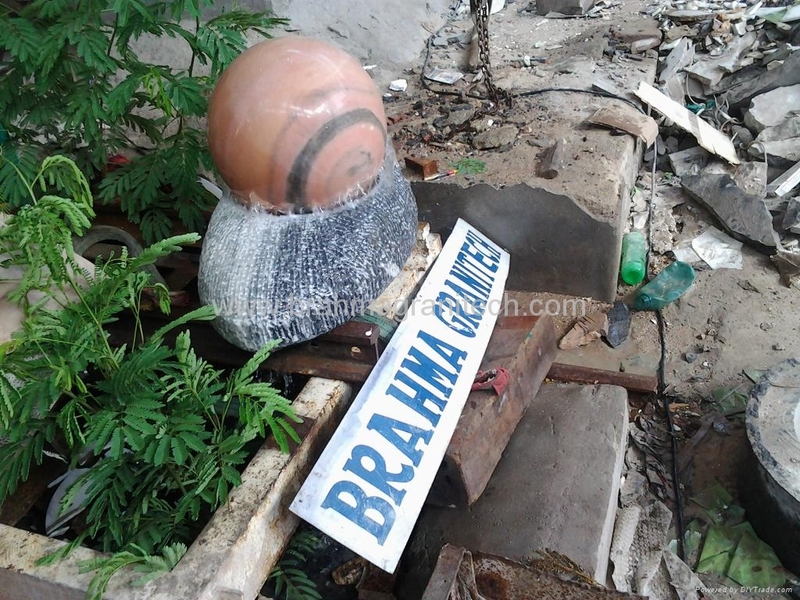 Once started, the ball continues to turn until the water is shut off. However, even a child can stop it, change the direction of spin, and set it on an accelerated twirl. The space between the ball and the socket is about 8/1000th of an inch—too small Any motif or design can be engraved. 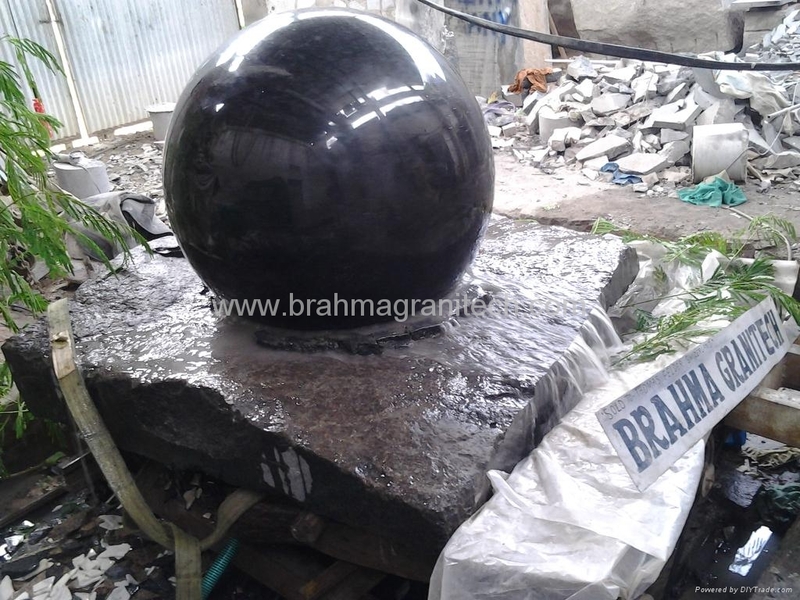 Has a granite ball floating on a pressurized stream of recirculated water. 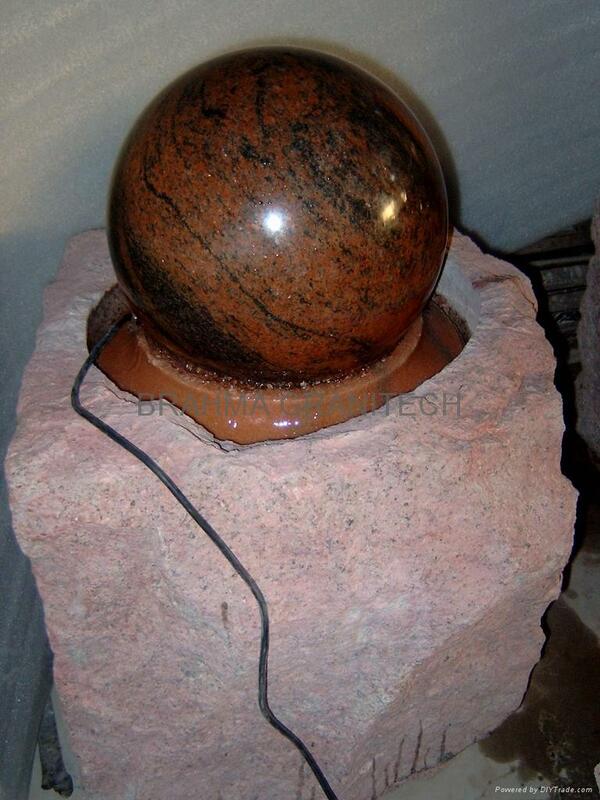 This rotating globe is recommended for use in main entrances, shopping centers, gardens, etc.